Solar Panel Output from a Solar Electric System in the South East of Ireland. Enerpower is one of Ireland’s leading renewable energy companies providing a wide range of cost-effective and sustainable energy solutions working across both Ireland and Northern Ireland. 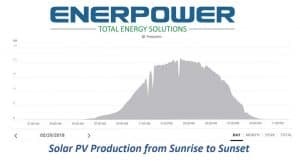 Enerpower installed a 130kwp rooftop mounted Solar Photo Voltaic system allowing this company to reduce their energy consumption significantly on an ongoing basis for the future. Given their commitment and focus on renewable energy, changes in electricity prices will not affect the company. You can see below that the solar panel output is high on this day in May, helping this company to save money and have a significant impact on the environment with the reduction of greenhouse gasses and carbon emissions. 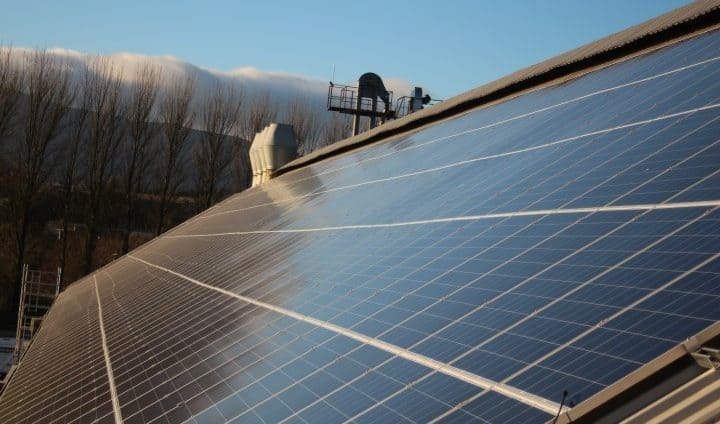 This project shows how commercially viable Solar Photovoltaic has become for Irish businesses looking to consolidate their future expenses when it comes to energy. By installing Solar Power Systems in to your business, you are gaining huge electricity savings for your business and protecting yourself against the inevitable price rise from all energy suppliers. When asking yourself, how much are solar panels, it is important to know that financial incentives may also be available towards the installation cost of photovoltaic system for your business, this makes investing in this technology an attractive investment. More information can be found at www.enerpower.ie or by calling 051 364 054. Enerpower can carry out a detailed survey at your property and offer a bespoke solution that suits your business and circumstances.